If you're a Gnome Shell user and you're missing having a Show Desktop icon on your dock to quickly show / hide all open windows, here's a script to achieve this with the Ubuntu Dock, Dash to Dock, or any dock you may be using. Dash to Panel users don't need to use a script. The Dash To Panel Gnome Shell extension has an option to enable a Windows-like Show Desktop button at the right-hand side end of the dock. This can be done from the Dash to Panel Settings > Behavior > Show Desktop button. For docks like the Ubuntu Dock, Dash To Dock or others, here's a script that you can use to get a Show Desktop button on your Gnome Shell dock. This article includes 2 scripts from which you'll have to choose one. The first script, which we'll call Script A, hides and shows visible windows only, so if some windows were minimized, they won't be restored when using the Show Desktop icon. Script B restores all windows, including those that were previously minimized, so even if some windows were previously minimized and they weren't hidden by clicking on the Show Desktop icon, they are restored when clicking the Show Desktop icon for the second time, along with the other windows. 4. 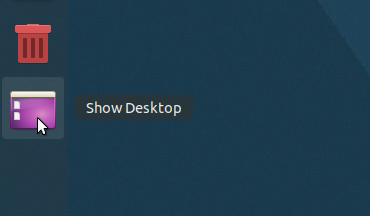 Now search for Show Desktop among your applications (Activities / Applications button), right click the Show Desktop icon and select Add to Favorites. 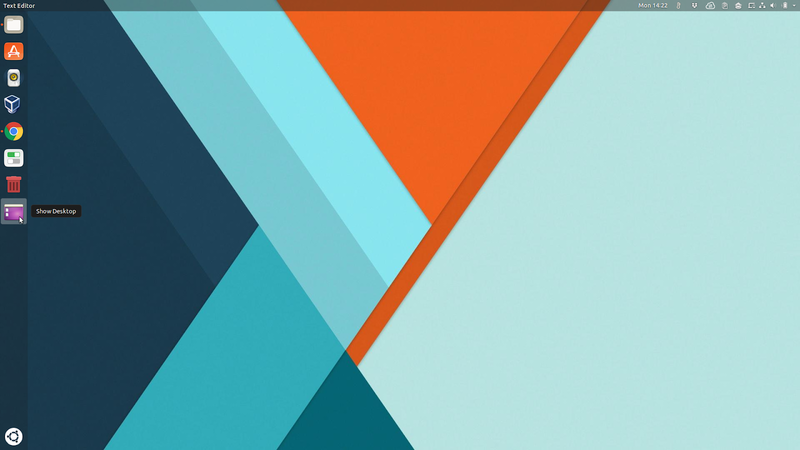 After this, the Show Desktop icon should show up on your Dash to Dock / Ubuntu Dock. For other docks, you may need to drag and drop the Show Desktop icon from ~/.local/share/applications/ onto the dock to pin it. You can now try your new Gnome Shell Show Desktop icon from your dock. The icon may not update until you logout and log back in.